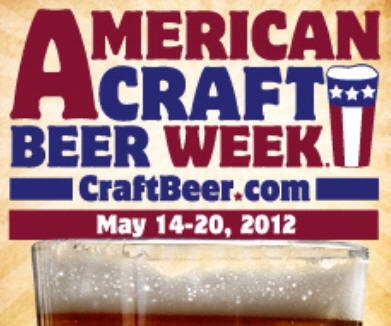 American Craft Beer Week officially starts on May 14 and runs until May 20. This year Richmond will start the party early Friday with Midnight Brewery’s open house and Capital Ale House Anniversary beer double tapping. Here are some details on other events to consider checking out during the week. The second annual Virginia Hops & Barley Festival will feature over 30 craft beers from from twelve Virginia breweries. This will be your first chance to try beers from Blue Lab Brewing, Big Daddy’s Brewing, and Midnight Brewery. Take a look at the complete beer list here. Tickets are $15/person in advance or $20/person at door if available and include unlimited sampling of all the beers. Order tickets here. Hardywood Bourbon Cru & dry hopped double IPA. Head out for a pub crawl featuring beers from Legend, Mad Fox, and Victory. Beer: Legend Golden/Brown Ale blend, dry hopped with Sorachi Ace. Beer: Mad Fox ???? The exact beer from Mad Fox has not been decided but any beer from Mad Fox will be great. I’m sort of hoping for their Orange Whip IPA. Update: Looks like I’m getting a Mad Fox beer I’ve never had before! Commercial Taphouse will be getting Mad Fox’s Broad Street IPA – 6.8% ABV aka Snap IPA, an American-style India Pale Ale that is brewed with 100% Centennial/CTZ hops from the Pacific Northwest and then dry-hopped with over 44lbs of Centennial/CTZ hops for an extra fresh hop punch. This beer has a fresh resiny herbal and citrusy grapefruit aroma that follows through to a tingling hoppy herbal bitterness in the finish. The British pale and German Vienna malts provide a biscuity malt sweetness that balances the hop bitterness. Beer: Victory Ranch R DIPA- 9% ABV DIPA with whole flower Centennial hops grown on Roy Farms in Yakima Valley. Victory’s Ranch series is a rotating double IPA with hops sourced from one different farm for each batch. For your convenience, I’ve created a map with all the locations on it here. Breckenridge Brewery is probably one of my favorite Colorado breweries just because of their Vanilla Porter. If you’re heading to Cap Ale for the evening, I would make sure to get one of these glasses to go. Celebrate the triumphant return of Wine & Beer Westpark owner Matty Lake’s Beer Theater in the Capital Ale House Downtown Music Hall starting at 5:30pm. Settle in to the Music Hall for a skype tasting with brewmaster Brett Porter featuring Sofie, Matilda, Pere Jacques, 312, Honkers, and IPA. Cost for the tasting is $10/person. Read more over at Facebook event here. At first, I was worried about this beer dinner and beer theater being on the same night. Fortunately, this dinner is being structured such that you can come in anytime Wednesday night from 5:30 -9pm and get this meal. Take a look at the menu. Cost for the dinner is $30/person excluding tax & gratuity. Call (804) 562-0138 for reservations. There will be three firkins from O’Connor Brewing in town Thursday night. Head over to Station 2 to get Rad Nun (Red Nun Red Ale infused with Raspberries) or Brutella (Great Dismal Black IPA infused with Peanut Butter, Nutella, Chopped Hazelnuts and Dry-roasted Peanuts. Meanwhile, The Camel will have a pin of Xocolat, Great Dismal with organic fair trade cocoa and ground cinnamon. Head over to the Once Upon a Vine off Forrest Hill Ave to meet Virginia brewers and taste their beers. Be prepared to have a great time. Tasting runs from 5 – 8pm. Head out to Mekong for a wood and barrel aged beer bonanza featuring beers from Legend, Hardywood Park, Heavy Seas, Mad Fox, and more. Final event for the week is the Richmond Food Cart Derby at Historic 17th Street Farmers Market. 20+ food cart vendors, beer, music, and more. I’ll have more on this as the date gets closer but I’ll say now you want to go to this. Check out the Facebook event here.